Luckily for my kids the internet was created and I no longer have to use ‘that’ side of my brain to come up with an awesome lunch. Here are my top tips for packing back to school lunches! 1. Websites! Use Weelicious– I LOVE this site! This mama shares many recipes and ideas every week. One of my favorite things about the site is that she is teaching the kids to love food without disguising the nutricious ingredients into a dish. It is so important for our weaners to know what a healthy, well rounded diet looks like and if we don’t teach them to eat vegetables because they are awesome they are never going to put them into their own diets. 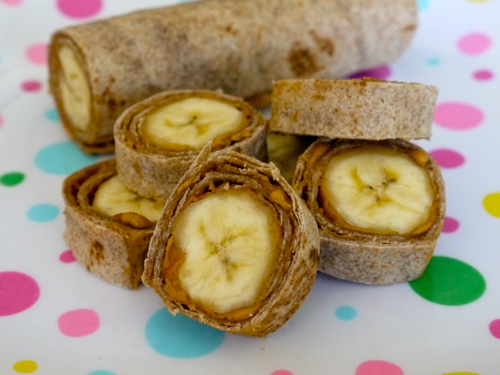 One of my favorite lunch recipes is her very simple banana dog recipe. Its quick, easy, fun and the kids love them! 2. Stock pile your fridge!- At the start of the week cut up tons of veggies, wash loads of fruit and stock pile your fridge! The weaner has to make sure she packs at least one full portion of fruit and one of veggies every day in her lunch. This week I had cut up carrot sticks, celery sticks, red pepper and cucumber sticks and threw them in Wean Tubs. I made little fruit salads with grapes, raspberries, and blueberries and put them in Wean Bowls. I buy the big bins of yogurt and split it into Wean Cubes. 3. Let your kids do it!- I don’t know how many times we have been told this is great for kids and their is such a higher chance that they will devour everything in their lunchkit if they are the ones that put it in! I am so excited to get my eldest weaner into a cooking class to teach her other methods of cooking! She will be heading over to Kulinary Kids soon! 4. Keep it Simple! There are so many blogs and articles written with lunches that look like they were made by fairies. There is no way that it will taste any better by creating a castle, didn’t your mothers ever teach you not to play with your food;) I like to do something a little more creative on special days, like birthdays or other celebrations. The rest of the time I like to go in and get it done! 5. Get rid of all the garbage!! You don’t need to buy individual bags of food or even small pre-made applesauces. 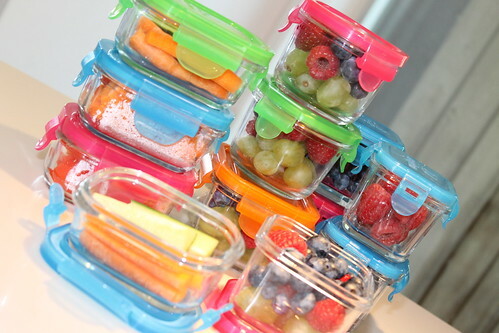 Teach your child to use reusable containers to store food. Buy in bulk to reduce the waste coming out of your house and the waste going to the schools. Think of the yogurt example, imagine 2 kids in school with a couple individual servings of yogurt a week. That is about 4 pieces a garbage a week, 16 a month and 160 a year. Multiply ghat by an entire class of 20 and it starts getting uglier. 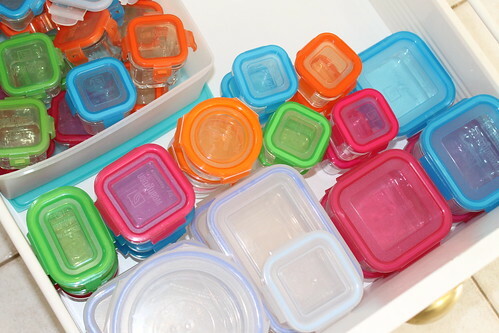 Use reusable containers! Looking for 100 more tips for packing that lunch? 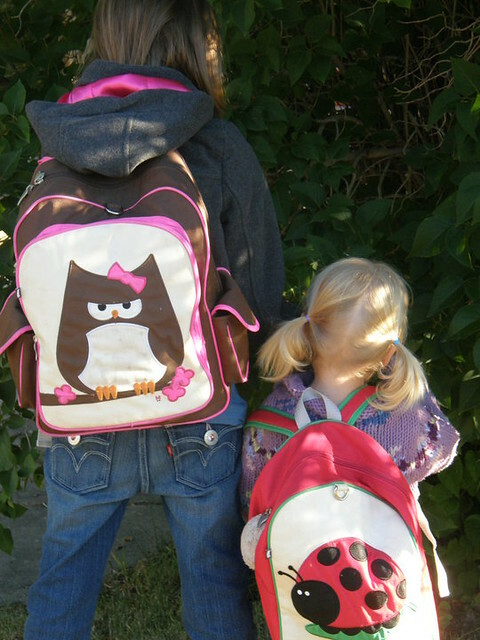 As I was posting this I came across Babble’s top 100 mom food blogger’s tips for packing school lunches! Kudos Babble, these tips rock!! Good luck and welcome back to school! This entry was written by Melissa, posted on September 5, 2011 at 8:24 pm, filed under Eco-Friendly Living, Kids & the Environment and tagged back to school, healthy kids, litterless lunches, school lunches. Bookmark the permalink. Follow any comments here with the RSS feed for this post. Post a comment or leave a trackback: Trackback URL. Ha ha, it was just posing! with your permission let me to take hold of your RSS feed to keep updated with forthcoming post. Ask neighbors to check their sheds, garages and basements. there that will suit you and match this phenotype.